New York Times – "Hey, Hey, Hey, Hey! 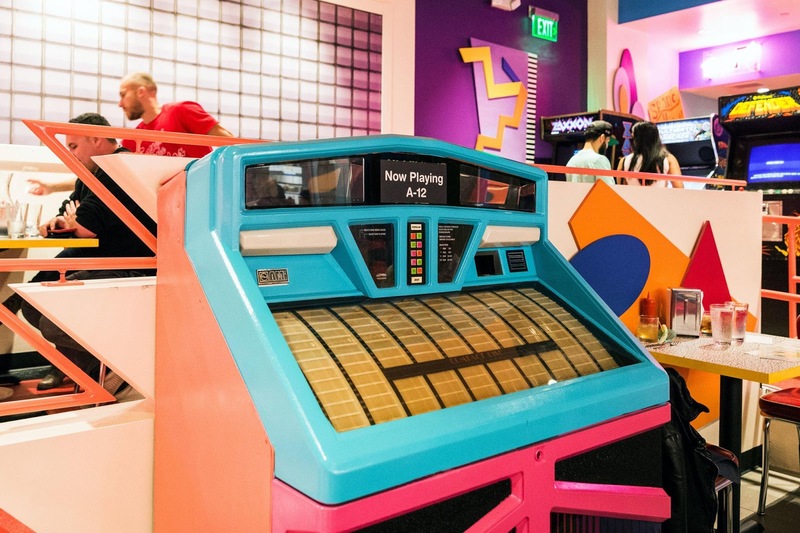 ‘Saved by the Bell’ Now a Restaurant"
"Called Saved by the Max and located in the same shopping center as a Target and a Best Buy, the diner is one of the latest venues designed to let fans have an “immersive experience” of their favorite TV shows and movies. Others have included the popular “Downton Abbey” exhibit, open on 57th Street in New York City through September and expected to travel after that, and the short-lived Rue La Rue Café, a “Golden Girls”-themed destination that opened and closed in Washington Heights last year. The brainchild of three Chicago entrepreneurs — Derek Berry, Zack Eastman and Steve Harris, who all have experience as club promoters — Saved by the Max meticulously recreates the neon-lit cafe where the kids from Bayside High School in the fictional Los Angeles suburb of Palisades liked to hang after class." 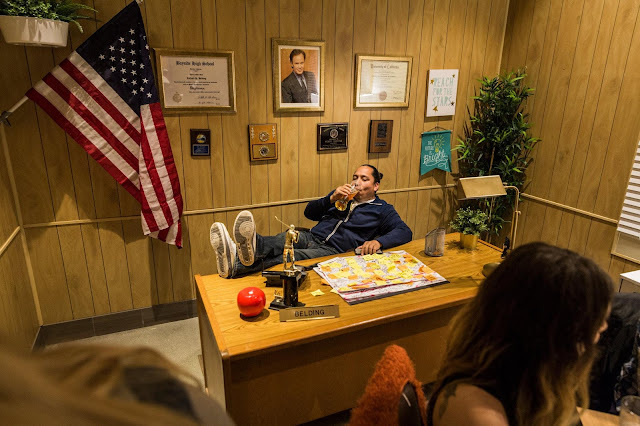 "There is even a recreation of Principal Richard “the Big Bopper” Belding’s office: paneling, pennants and all." 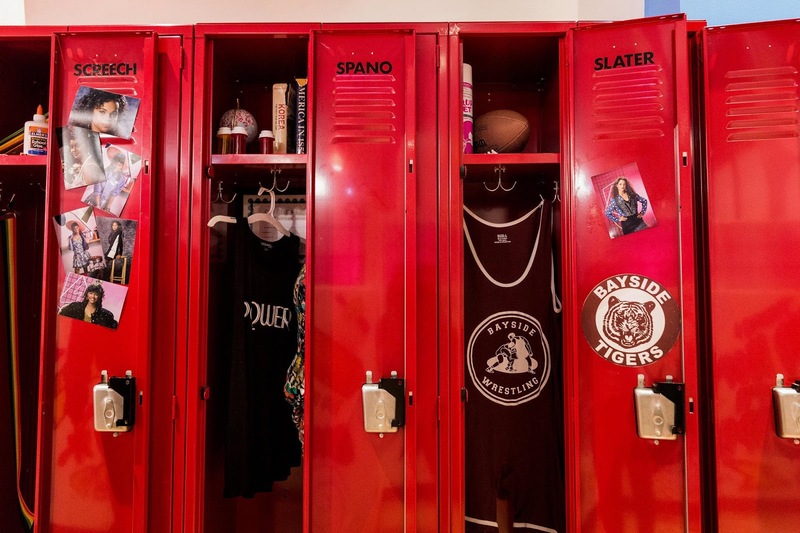 "The West Hollywood edition is taking reservations through September 2019. Tickets, which include an appetizer and entree, cost $40. 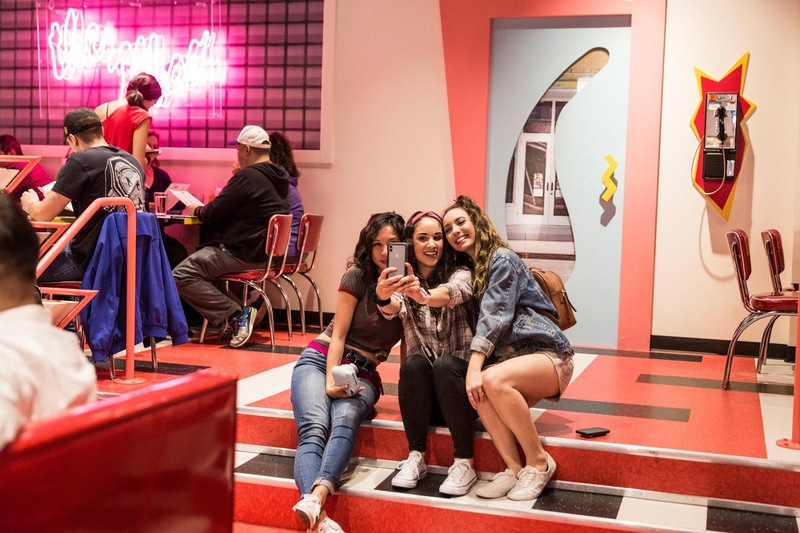 Some nights, visitors might get a cast member as a chaser." 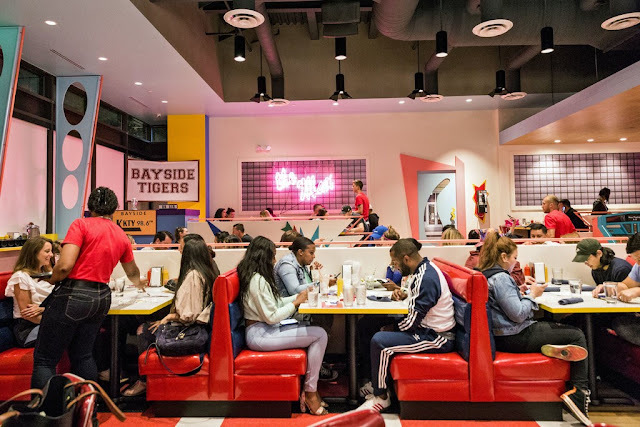 "The upscale diner menu was created by Brian Fisher, a usually much more serious chef known for his cooking at the Michelin-starred Chicago restaurants Schwa and Entente. Dishes include Mac & Screech, a cheesy appetizer named for the nerdy goofball played by Dustin Diamond; A.C. Sliders, made with ginger-and-beer-braised pulled pork and saluting Bayside’s star athlete A.C. Slater (Mario Lopez); Tori’s Fried Chicken, which is Korean-spiced, served with a coconut milk waffle and named for Leanna Creel’s character; and the Kelly Kapowski, a Monte Cristo sandwich honoring Tiffani Thiessen’s breakout role as the prettiest girl in high school." 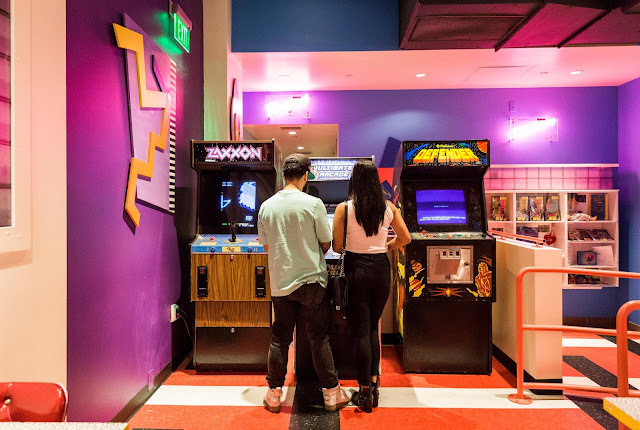 "Universal, which owns “Saved by the Bell,” did not commission the pop-up restaurant, but has enthusiastically sanctioned it and become a partner. Reviving classic entertainment properties, said Carol Nygren, senior vice president of Worldwide Live Entertainment, Universal Brand Development, “is always a popular trend, and being able to recreate scenes that play into fans’ memories of popular shows is so much fun.”"